There's a large number of on-demand services which have been appearing recently, to help people deal with almost every aspect of their life. One of the latest is Los Angeles-based Helpr (www.helpr-app.com), which recently launched to help parents find babysitters for their children. Becka Klauber Richter is co-founder of the startup, and spoke to us about the company, which she co-founded with Kasey Edwards. 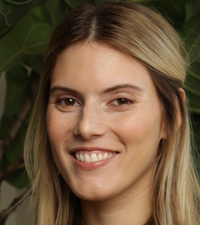 Becka is also co-founder of Female Founders Los Angeles (FFLA). Becka Klauber Richter: Helpr is an app for babysitters on demand. We're focused on lifestyle insurance for parents. Parenting has always required a village of support, and we consider our platform to be that village. It's basically a tech enabled, labor innovation in child care. It's been such an informal economy in this area, and we're trying to turn it into a formal economy, and really engender professionalism in this so parents can depend on us. Our values, which we focus on in our day to day work, is to be there to be a supportive, nurturing community, which honors the presence of what we're doing. You often hear about people talking about how being with kids makes you present in the moment, and understand the things in life that are important to us. What's your background, how did you start the company? Becka Klauber Richter: My background for my entire career has been in child care. I started as a teenager, and I did babysitting, life guarding, and swim coaching. I have a background much like many of our sitters now have. My co-founder Kasey and I started a boutique agency at the end of our time in college, which was in Santa Barbara. Both of us went to UC Santa Barbara, and were working as nannies there. We were constantly approached by parents at the park, and at different events where we were babysitting, asking for help. So, we moved forward from there, and organically grew, creating a boutique agency. We wanted to bring together the babysitters and nannies in the community, and started working with them as contracts. We really were inspired by Uber and Lyft, and we saw there was a great potential for scale, and an opportunity to create a platform, and offer it to many more parents beyond the scope of our boutique agency's reach. Our company started as University Sitters, and we pivoted it to this new company, Helpr. How did you handle going from a background in child care, to developing and app and figuring out the technology side of things? Becka Klauber Richter: It's been really exciting to be involved in the tech ecosystem. We were very excited to be part of Silicon Beach, and we've really been open to learning and listening a lot. Luckily for us, people were receptive to us, and have been teaching us a lot. We've had a lot of advisors along the way, in the financial and technology realm, which has helped us with everything. Many of those have been our clients from University Sitters. The biggest transition for us, was taking on a co-founder, our CTO, who has the really intensive tech background. We've been working with him, and he's taught us a lot about the technology we're working with, and expanding our development team. We're able to really put our idea into action, through their skill set. How do you address the issues of trust that parents have since this involves their children? Becka Klauber Richter: It really comes from the heart. Everyone involved in this is truly there because they want to work in child care. Our competitors don't offer screening, but there's a great demand for on-demand childcare from a reliable source, so people are seeking us out. The most important thing, is conveying what we are offering and our culture. When people are looking to find more about us, they see that our staff is highly trained, that we all come from child care, and that we specialize in finding the professionals, and that we have oversight and quality control. Plus, we have face to face interaction with our sitters, in addition to background screening. Are your sitters W2 or contract employees? Becka Klauber Richter: All of our sitters are contractors, but we only work with professionals in the field. That means they have extensive experience in child care. We are really just there to screen them, and make sure they know how to do the job themselves. Being independent contractors, they also have the opportunity to negotiate rates and determine how they will do the job. Our job is to determine who the professionals are. The people who are doing our screening come from the same background as we did, coming from home childcare, nannying, working in day care, and early childhood education. Having to interview people seems like a lot of overhead, how do you handle scaling that all? Becka Klauber Richter: It isn't a lot of overhead. If you look at our competitors, they really don't have a supportive environment, which lets those sitters meet with a company, and go through screening, to get access to the community we are able to provide. That's actually been helpful to direct sitters to us. Because of our background with University Sitters, we didn't need to seek out sitters, and that has been helpful in keeping down costs. We've been able to come up with an algorithm that can determine someone's success, and help us determine who the professionals are through character assessment, questions about safety, and checking with references. It's something we're able to do through a quick process, plus spending quality time with each sitter. I think we're really coming to set a standard for what being a professional means in this economy. Every sitter we work with has at least a minimum of one other referral, and our talent really wants to spread the word about our service. Finally, what are the next steps for your company? Becka Klauber Richter: We are really excited about our plans for expansion in 2016. We're working really hard to provide more locations, where parents are asking us for help. It's really about expanding our community of parents and sitters.